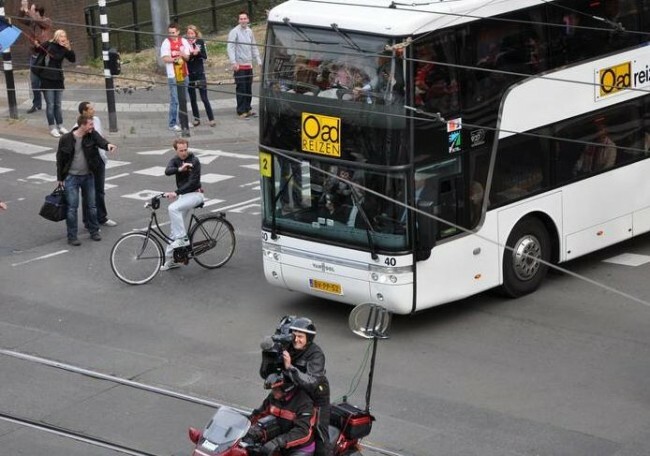 Ajax shored up their first Dutch league title since 2004 with a 3-1 victory over Twente at the weekend, and what better way to celebrate the momentous achievement than by following Real Madrid’s lead? The guy’s supposed to be a half-way decent ‘keeper for Christ’s sake. Damn power lines. ^haha brilliant….i think this should become a tradition, just make a replica of each trophy and toss it under the bus as your celebrating! It’s a metal dish, I doubt it was damaged.